Despite working on a book that explores issues and people who existed more than 160 years ago, historian Daegan Miller, a grant writer for the Global Health Institute at the University of Wisconsin-Madison, felt like he was working on questions surrounding today’s societal and environmental problems. Following Henry David Thoreau, a group of black abolitionists, photographer A.J. 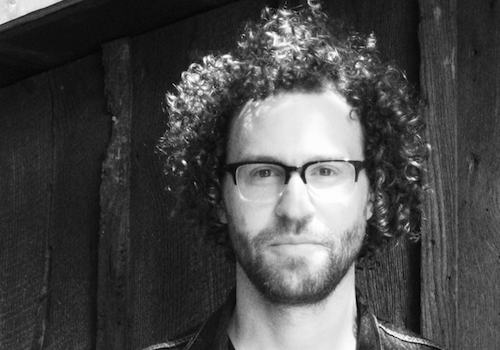 Russell and a group of anarchist commune-dwellers, Miller’s book, “This Radical Land: A Natural History of American Dissent” explores ideas of freedom, justice and progress through four interlocked essays. The book was published in late March by the University of Chicago Press. “One of the things that’s often most wonderful about studying history, writing history and doing history is discovering that the present is not actually all that new … and the past isn’t really irrelevant,” Miller says. Miller received a doctorate in American history from Cornell University and first came to UW-Madison as an A.W. Mellon Postdoctoral Fellow in the Humanities. In addition to working with GHI, he is also the communications coordinator for the NASA Health and Air Quality Applied Sciences Team, housed in the Nelson Institute’s Center for Sustainability and the Global Environment. The book idea was born as Miller looked at the world we live in today and the number of environmental and social challenges facing us, such as climate change and increasing inequality. He saw links between environmentalism and social justice. Each of the four essays establishes a connection between environmental and social issues and proposes alternatives to the intellectual and cultural systems of exploitation. Miller suggests individuals can’t have a just relationship with the environment if there is oppression in society and vice versa. Grounded in the past, Miller’s history of alternative thinking provides a vision of what a better, greener and more just future could look like. The past isn’t something that only happened a long time ago; it is vital in imagining a better world and claiming a better future, Miller says. Miller’s next project looks to the future — a book revolving around doing something timeless in the era of climate change. There has never been this much carbon dioxide in the atmosphere while humans have been alive, so the past is no longer a guide to the future, he says. 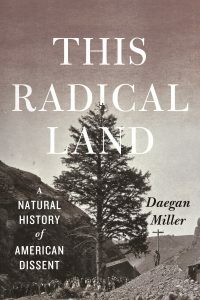 Miller’s book, “This Radical Land: A Natural History of American Dissent” is available locally at A Room of One’s Own.